Keeping it cozy today. Long cardigans that are slimming, simple, and easy to accessorize. I like an open front version that you can wear as is or tie with a skinny neon or leopard belt. Simple vertical ribbing with patch pockets. Wear with leggings on a Sunday or dress it up with a button down. Love 40% off! 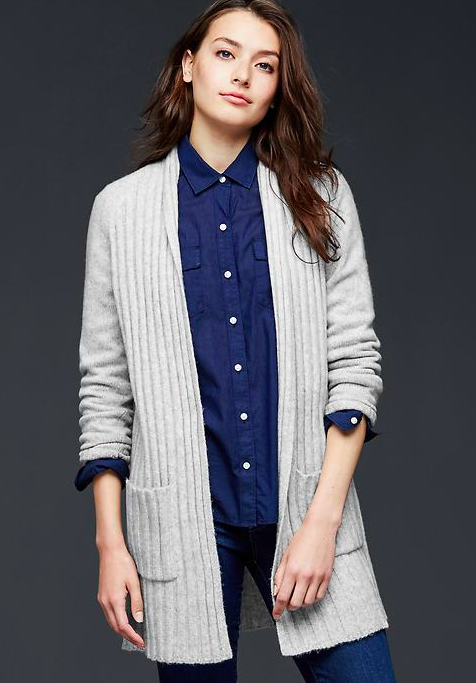 A beautiful navy or grab it in gray. 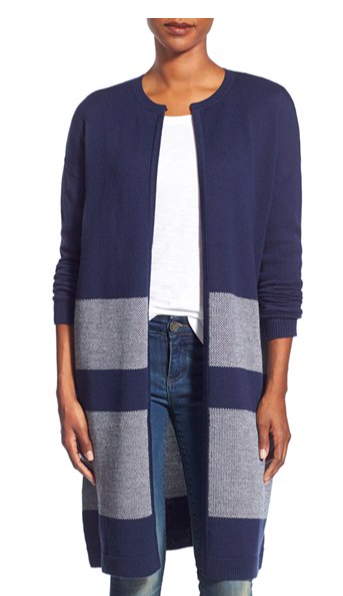 A great oversized collar and this bad boy is machine washable! Merino meaning super soft. I love the vneck styling which gives this a boyfriend style. 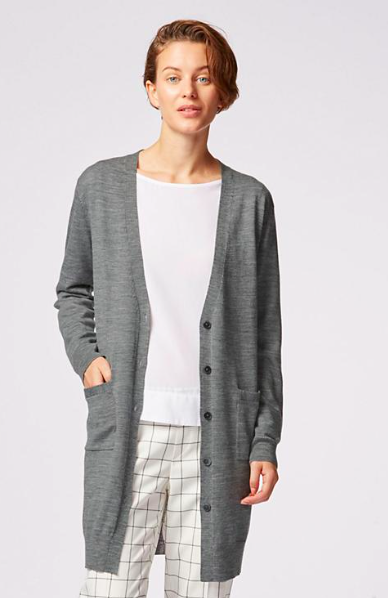 A long cardigan is just what I'd like to wrap up in on this Wednesday. Cozy, comfortable, and stylish. 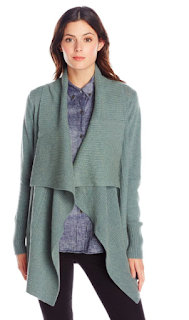 I would go for a heavier or chunkier knit now with a tissue turtleneck underneath and some statement earrings.